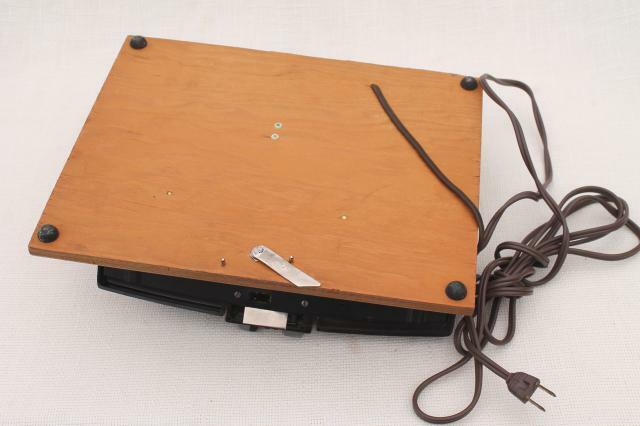 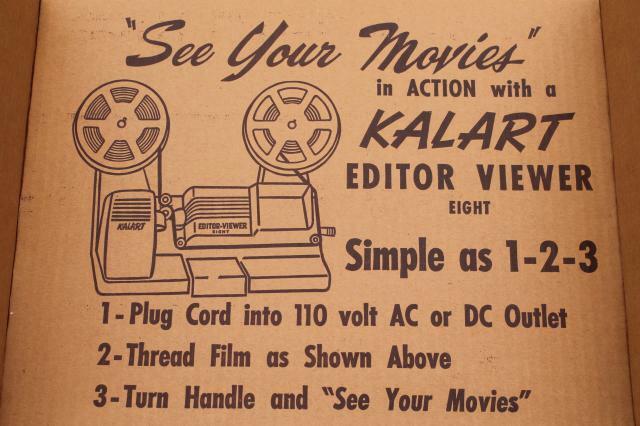 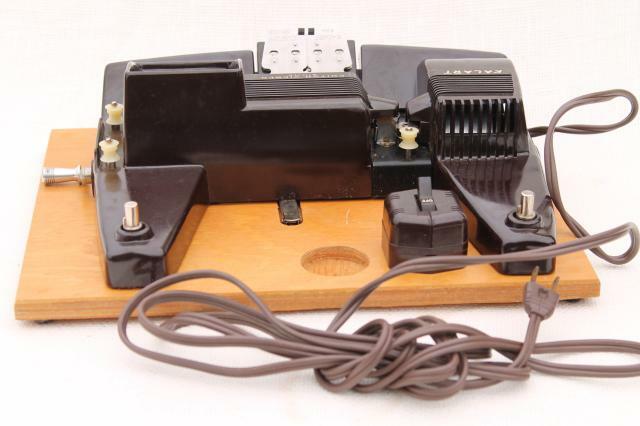 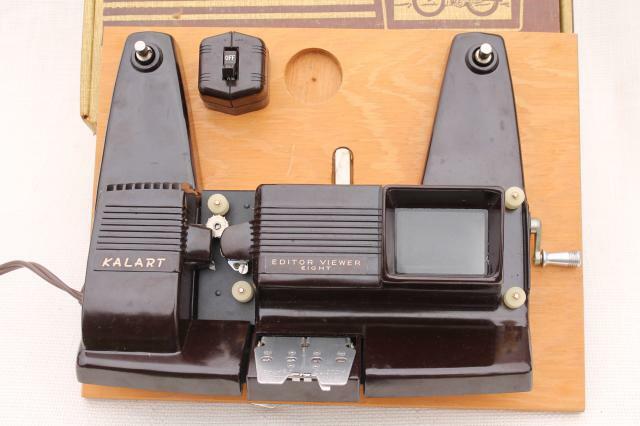 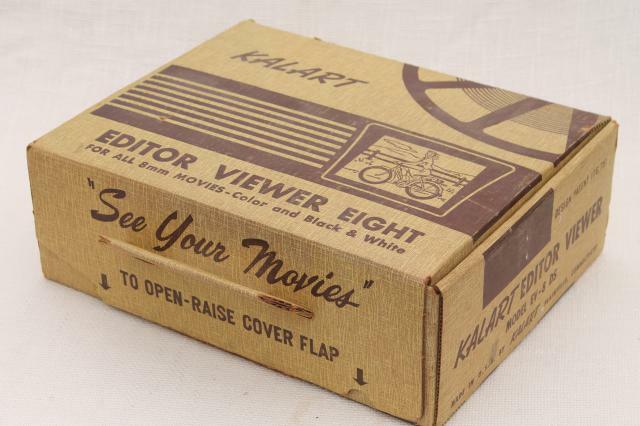 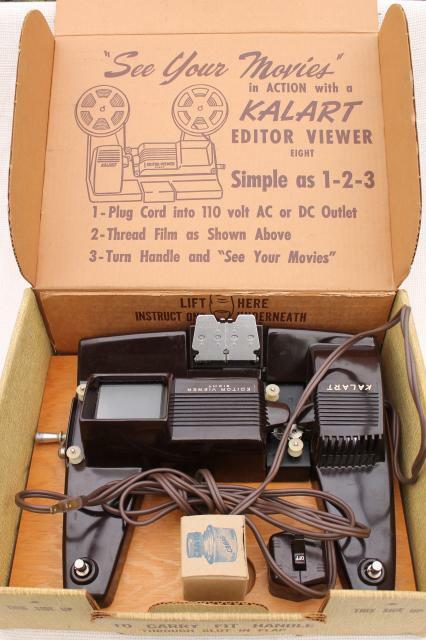 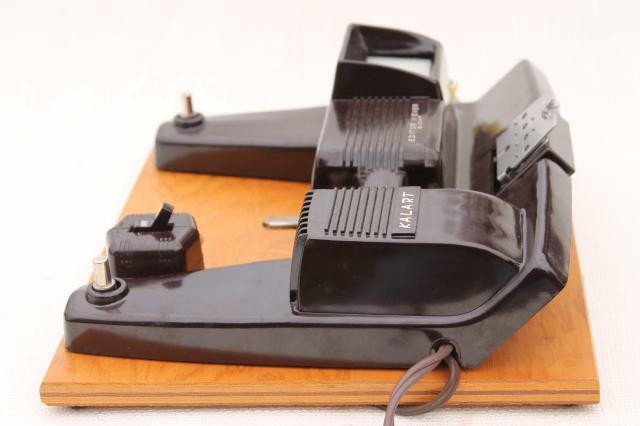 mid century vintage Kalart brown bakelite manual crank operated film editor and viewer for 8mm movies. 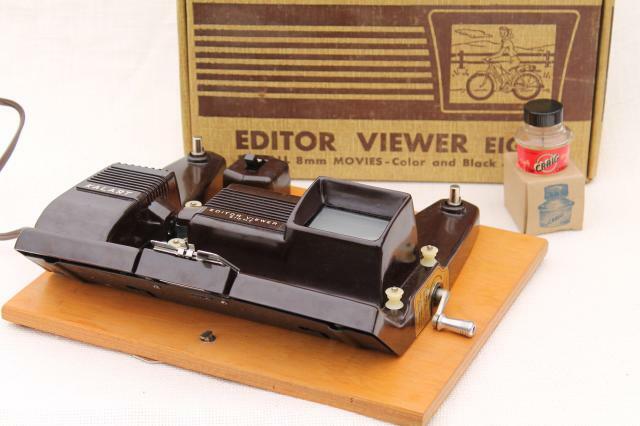 This lets you go through the film frame by frame for editing or viewing still frames. 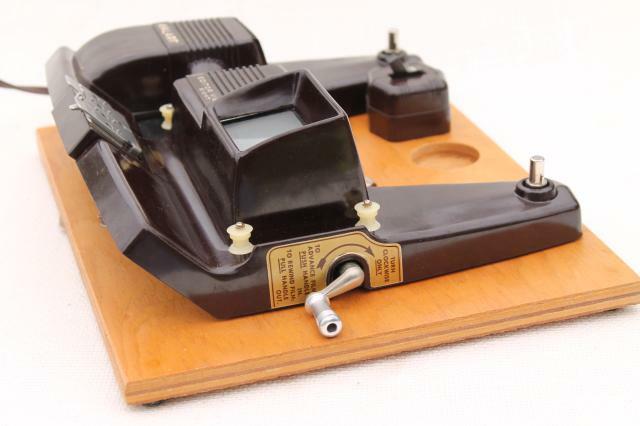 This is in nice working condition with no chips or cracks to the bakelite and the original box with instructions printed on it. 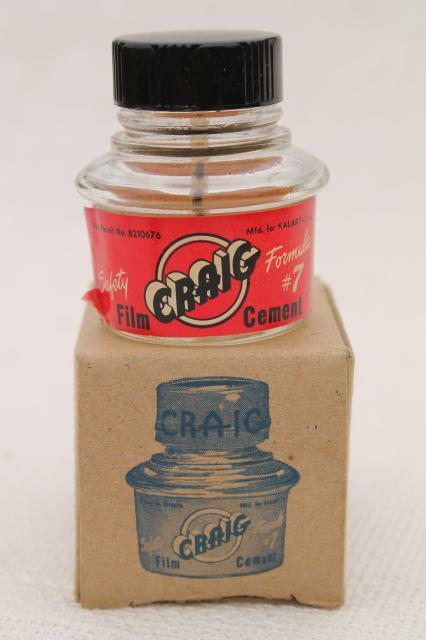 However, the bottle of vintage film cement is probably dried up.